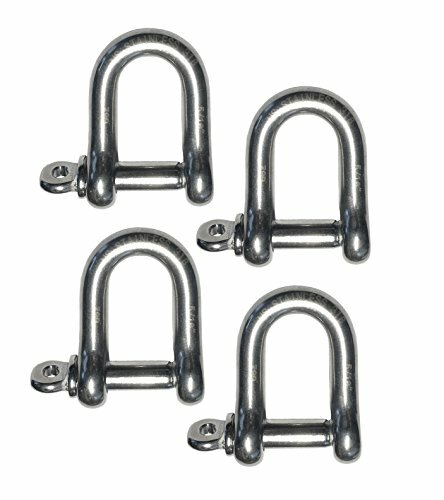 This is for four (4) quality marine grade stainless steel (AISI 316) D shackle. Each shackle is stamped 316 and laser etched with the size. The shackles are marked in the US specification style. This is a forged shackle, which for load bearing applications is better than a cast shackle. Not to be used for overhead lifting. AISI 316 stainless is a premium grade of stainless and is considered by many to be best in class. 316 stainless is corrosion resistant and very durable even in the harshest of conditions. If you have any questions about this product by US Stainless, contact us by completing and submitting the form below. If you are looking for a specif part number, please include it with your message.